With its painted floral design and expert ceramic construction, perhaps it is easy to understand why the Flower Garden Seat is a top choice both indoors and outdoors. 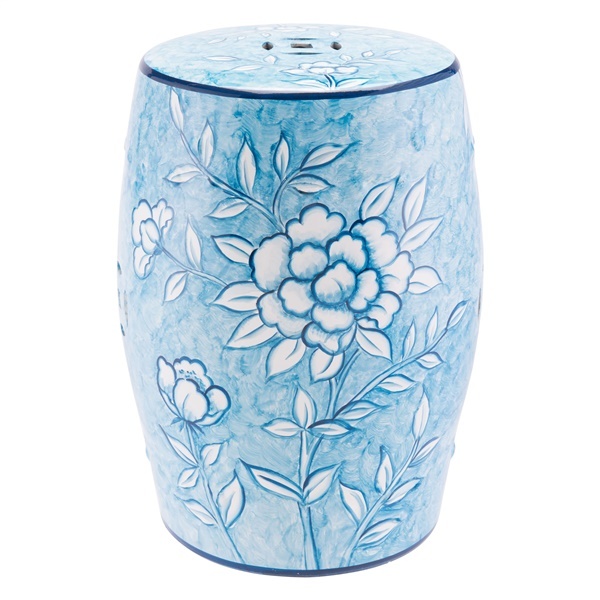 The seat boasts a dazzling blue and white finish that helps the piece complement any setting's d�cor. In addition, the seat offers exceptional strength and stability and features a maximum weight capacity of 250 lbs. Enjoy a terrific seat that will look great in any bedroom, bathroom or living room thanks to the Flower Garden Seat.